The Disposable Parallel Particle Impactors are now available. 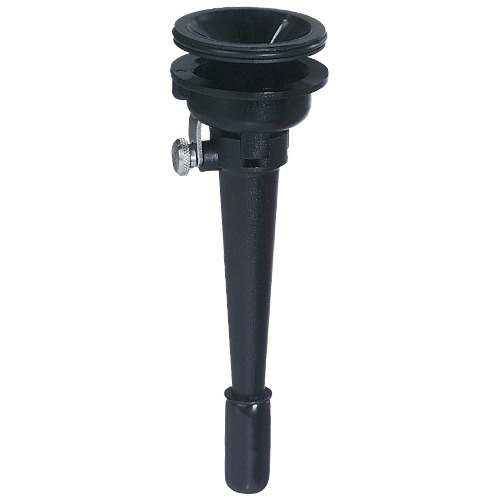 The IOM sampler is a reusable filter cassette with a sampling head designed to better measure the worker's exposure to total airborne particulates. 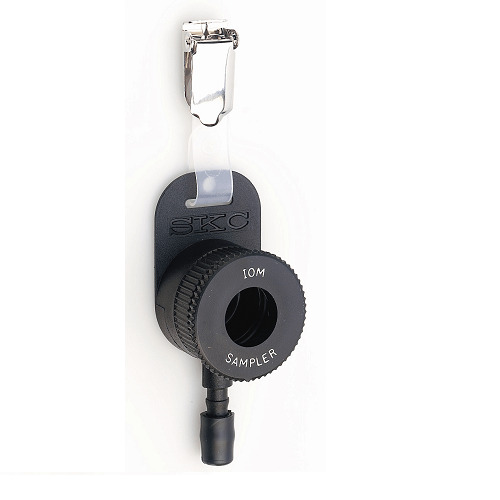 The asbestos cowled sampling head is a 25mm plastic sampler for fibre sampling (also available with an aluminium cowl). Designed for use with gridded filters. 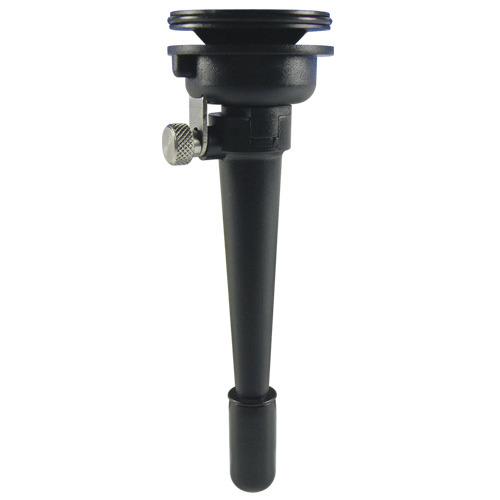 The SKC Plastic Cyclone is a lightweight conductive plastic unit that holds a collection filter in a reusable cassette during sampling. 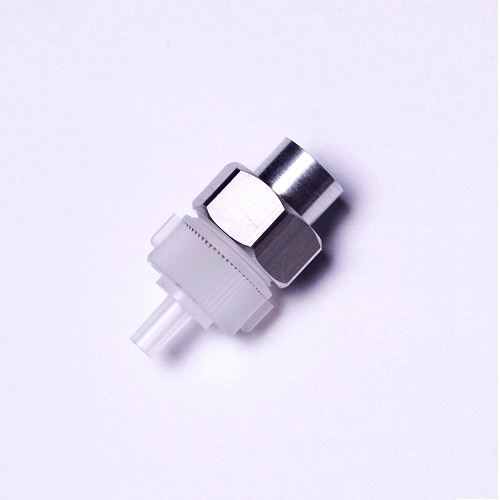 It is designed for a 50% cut-point of 5.0 µm at 1.9 L/min and 4.0 µm at 2.2 L/min. 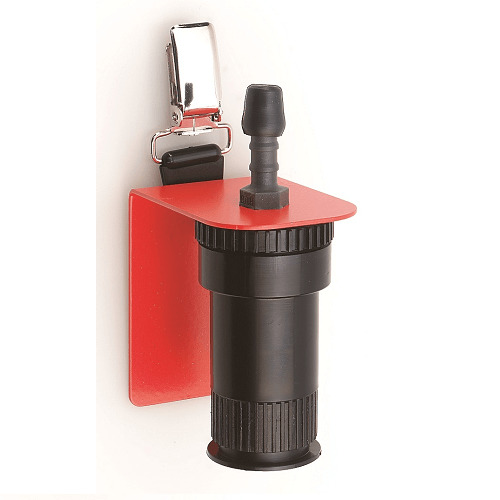 The GS-3 Cyclone is a 10-mm lightweight two-piece conductive plastic unit that holds a standard 37-mm filter cassette for collecting respirable dust particles. The GS-3 Cyclone is designed to meet the ACGIH/CEN/ISO respirable convention. 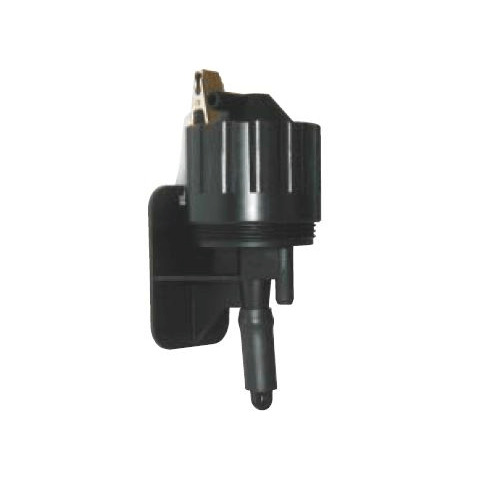 The GS-1 Cyclone, a single-inlet version of the GS-3 Cyclone, provides performance equivalent to the Dorr-Oliver Cyclone but has the added advantage of being constructed of conductive plastic. 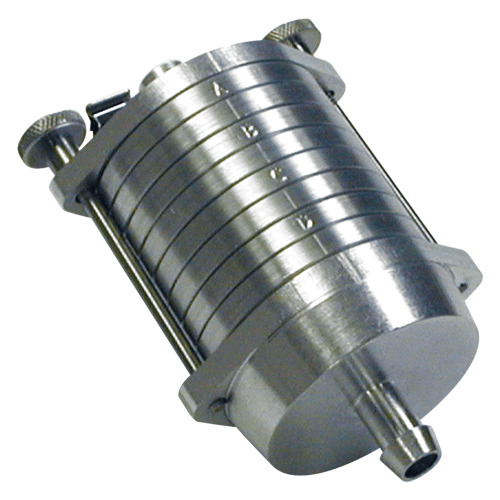 The SKC Aluminium Cyclone is a lightweight respirable dust sampler that is used with a filter loaded into a three-piece filter cassette. 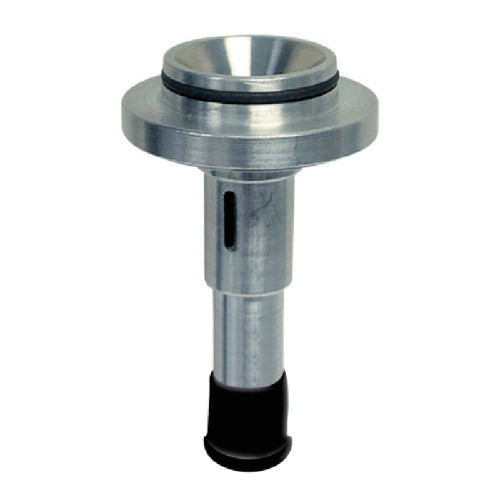 The SKC cyclone gives sharp size selection between respirable fractions at 4 or 5 µm. 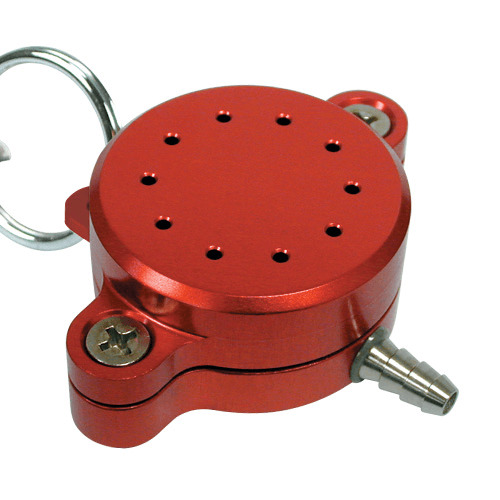 The SKC mini sampler fits onto the Face Level Sampling Headset and requires a 13mm 0.8µm MCE Filter. DPM samplers and cassettes meet the requirements of NIOSH 5040 or MSHA specifications for sampling diesel particulate matter. 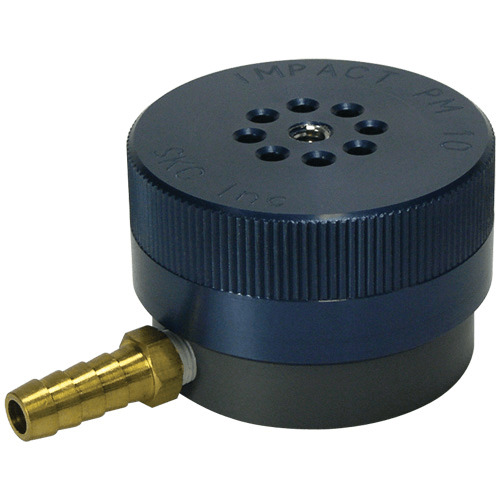 The SKC IMPACT single-stage inertial impactor is designed for the efficient collection of PM10 or PM2.5 in ambient air. A sampling pump operating at 10 L/min draws PM through the impactor; larger particles are captured on a disposable pre-oiled impaction substrate while smaller particles collect on a 47-mm filter. 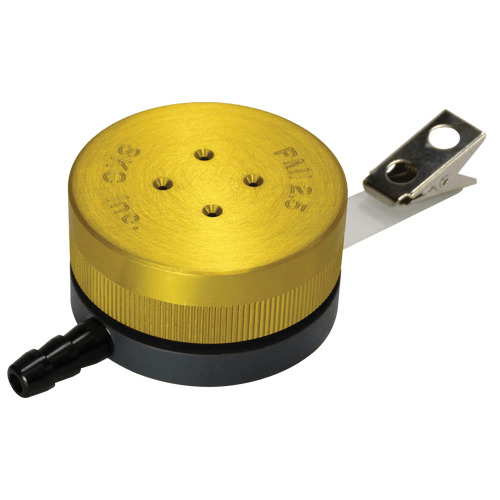 SKC Button Aerosol Sampler is a filter sampler with a porous curved-surface inlet designed to improve the collection characteristics of inhalable dust (100-µm aerodynamic diameter), including bioaerosols for total (viable plus non-viable) microbial count. Only the SKC Parallel Particle Impactor has the power of 4 impactors in 1 small sampler to provide the closest match to the ACGIH/ISO/CEN thoracic or respirable conventions. A job no single personal impactor can do alone! 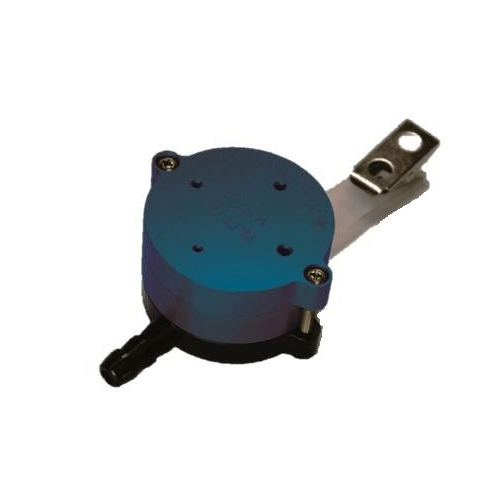 The Personal Environmental Monitor (PEM) is a lightweight, personal sampling device for collecting particulates of either 2.5 or 10-µm aerodynamic equivalent diameter. SKC Personal Modular Impactors are designed for the highly efficient collection of PM10, PM2.5, or PM Coarse (PM10-2.5). The personal-size Sioutas Cascade Impactor separates and collects airborne particles in five size ranges. The Sioutas Impactor is highly efficient at collecting particles without the use of impaction grease or substrate coatings and at retaining labile compounds for size-fractionated chemical analysis.